How to draw Luffy from One Piece. 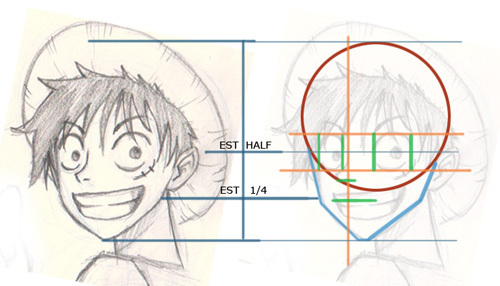 In this tutorial, you will learn how to draw an Anime character from One Piece, Luffy. This should be easy for every artist to follow. If it is a bit too fast for you, press pause. Then you can keep drawing along. You will find video tutorial on the top. You can scroll down further to see step by step images with instruction. Learn how to draw Anime. Drawing and sketching Anime technique. Learn to draw with tips from Video and step by step tutorial. A bit about the character: Monkey D. Luffy (モンキー･D･ルフィ Monkī D. Rufi?) is a pirate and the main protagonist of One Piece. He is the son of the Revolutionary Army’s commander, Dragon, grandson of the famed Marine, Garp, and the foster brother of the late “Fire Fist” Portgas D. Ace and Sabo. His lifelong goal is to become the Pirate King by finding the legendary treasure left behind by the Pirate King, Gol D. Roger. He believes that being Pirate King means you have the most freedom in the world. 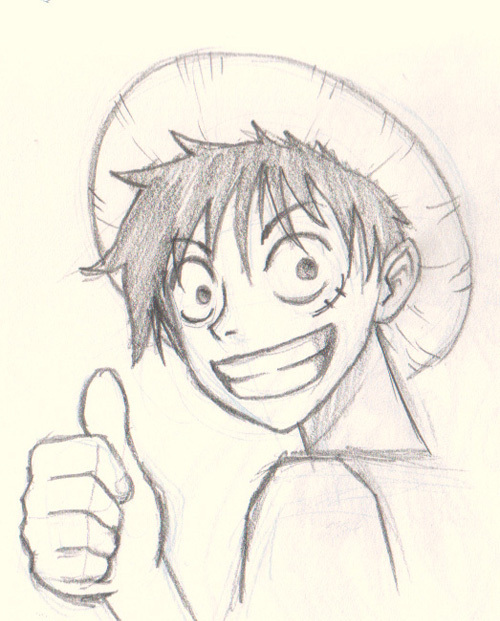 Here is a Manga face of Monkey D Luffy sketch break down. It will be easier to understand how his face is constructed. Below are step by step images tutorial to help you understand the process of how to draw and use the lines work from the beginning to the end. If you want a more detail tutorial of how to draw hand and fist go to How to draw fist 5 different way. Here is a final drawing of Monkey D. Luffy from One Piece モンキー･D･ルフィ.